Hailing from Northampton, Ultimate Boxxer contender #6 Drew Brown aims to show he’s the real deal. Punching machine Drew Brown aims to stick the boot in and put Northampton on the world stage again by winning boxing’s exciting new tournament Ultimate Boxxer. 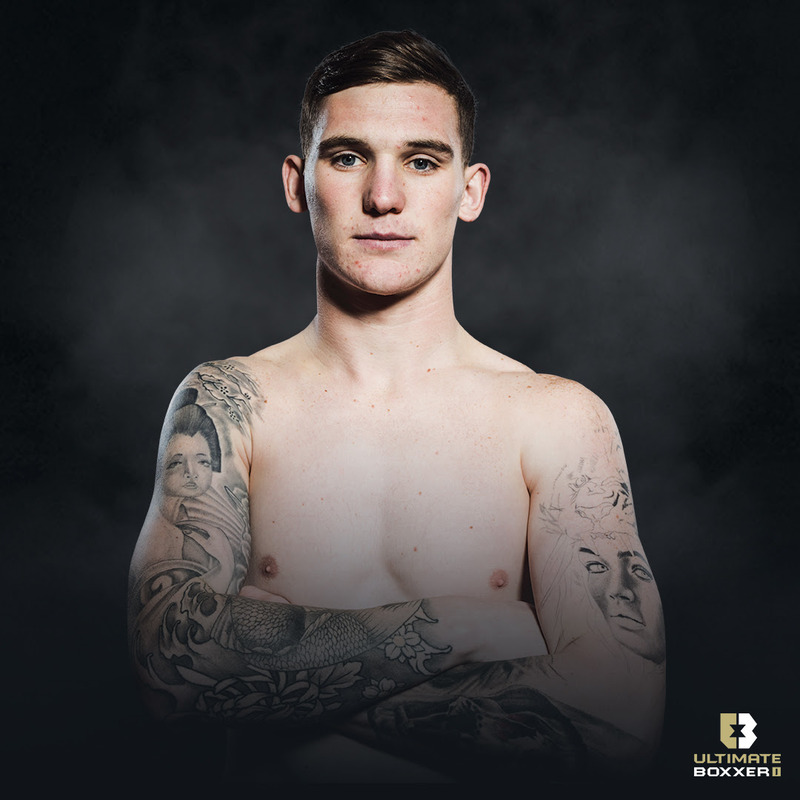 The undefeated 21-year-old enters the debut Ultimate Boxxer event on Friday 27th April at the Manchester Arena and believes he can win the tough one-night elimination contest and be crowned the first ever winner. Usually boxers are born out of tough inner-cities, where hardship and few opportunities in life force them to fight their way out of poverty in a rags-to-riches story of world title glory. However, Brown hails from the quiet market town of Northampton in the heart of England, often described as the Rose of the Shires, more known for its beautiful countryside, thatched cottages and parish churches. Northampton was once the centre of the world’s boot and shoe making industry which gave rise to the nickname The Cobblers of the local football team. And Nearby Silverstone hosts the Formula 1 British Grand Prix at the iconic race track. There’s never been a British boxing champion from Northampton and Brown intends to change that. The last Northampton fighter to challenge for the British title was hard-as-nails Alan Bosworth way back in 2002, Like Bosworth, Brown is a product of Far Cotton Amateur Boxing Club. The diversity of contenders in Ultimate Boxxer gives all fighters who have not had the golden opportunities in their careers to really punch their way to glory and become boxing’s next big star – and Brown aims to be that man. The Danny Garcia fan won 32 of 42 amateur bouts and still trains at the gym where he started with ex-pro John Daly. His gym mates include women’s world champion Chantelle Cameron, super-flyweight contender Nathan Reeve and Carl Fail, who last month won silver at the European Under-22 Championship. “The vibe at the gym is amazing,” said Brown. “Everywhere I look I see champions and we all push each other. “The other fighters are six, eight and 10-round fighters. They want to jab and jab and walk you down, while I like to get stuck it and throw lots of punches. Punch power: No KOs yet in his pro career, but scored a knockdown in his last fight and throws plenty of punches.